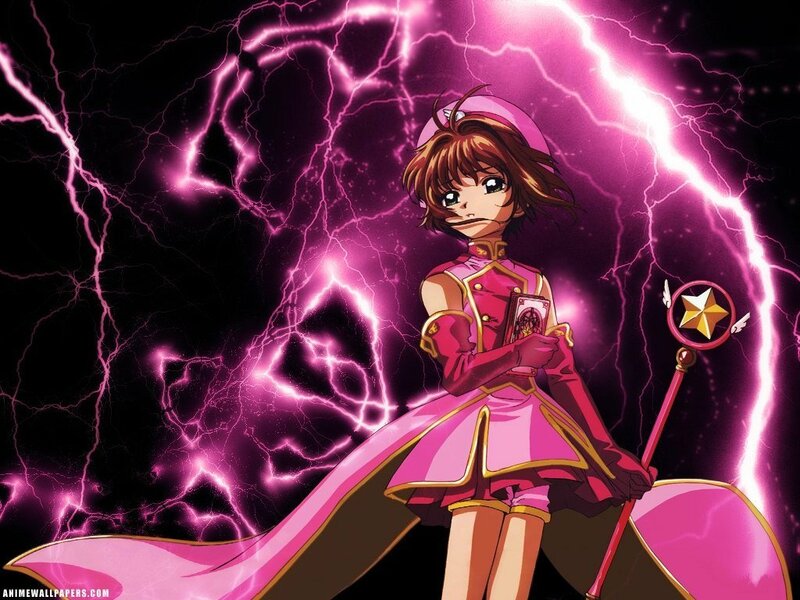 sakura. . HD Wallpaper and background images in the Sakura Cardcaptors club tagged: card captors sakura kero-chan card yue syaoran kero. i like the lightning around her. it makes a great effect.